PUEBLO -- Colorado State University-Pueblo President Timothy Mottet has announced the start of an innovative visioning process to prepare CSU-Pueblo for a new decade educating students from southern Colorado and beyond. On May 1, Dr. Donna Souder Hodge will make the transition from Director of the Center for Teaching and Learning, a position she has held since 2015, to Special Assistant to the President for Visioning. According to Mottet, Souder Hodge will lead a team that will engage university and community stakeholders through a complex and transparent process to reimagine, validate, and operationalize a new vision, mission, and set of values for CSU-Pueblo. “It is important that our vision reflects CSU-Pueblo’s exciting future as a higher education leader in a crowded marketplace. We want to ensure that we are responsive to industry and workforce needs and that we are able to be proactive when it comes to our region’s economic and cultural development,” Mottet said. In 2017, Colorado Department of Higher Education reported that the biggest growth in degree-seeking students over the next decade will be among first-generation, low-income, and Hispanic students. “It is crucial that we prepare our next-generation of CSU-Pueblo graduates to be engaged citizens who are ready and able to make significant contributions to their employers, communities, and families,” Mottet said. According to Souder Hodge, Mottet’s commitment to CSU-Pueblo’s position as a regional comprehensive, Hispanic Serving Institution already has created a sense of excitement and trust and has helped to set the important visioning process in motion. “Our campus is committed to developing a differentiated vision — one that highlights our rich history and yet sets us apart from other institutions. We want to ensure that our students have a number of unique and tailored learning experiences created by passionate and inspiring educators who are dedicated to developing students to their fullest potential,” Souder Hodge said. During this special assignment, Souder Hodge will lead a task force made up of creative, university and community thought leaders and will include comprehensive research, outside consultations, and ongoing dialogue provided through focus groups, open fora, and surveys. By August 2018, educators at CSU-Pueblo will be asked to provide feedback on draft concepts, and by October, final versions of the vision and mission will be created through a “check back” process that will include comprehensive validation from external experts who will provide recommendations for possible operationalization during spring 2019. “Our goal is to begin a process of developing new programs as well as learning and support systems that will allow us to bring a laser-focused vision to fruition in the service of students and this community. I am honored to have an opportunity to serve CSU-Pueblo in this expanded role, and I am eager to listen to, learn from, and collaborate with my colleagues, our students, and expert external partners,” said Souder Hodge. “Dr. Souder Hodge is a leader in the Pueblo community, and she is a problem solver on campus. I am excited to announce this special assignment, and I know that CSU-Pueblo is well-positioned to boldly envision our next decade of service,” Mottet said. To find out how you can become a part of CSU-Pueblo’s future, contact Souder Hodge in the Office of the President, Administration 301, at 719-549-2282, or via email at donna.souder@csupueblo.edu. 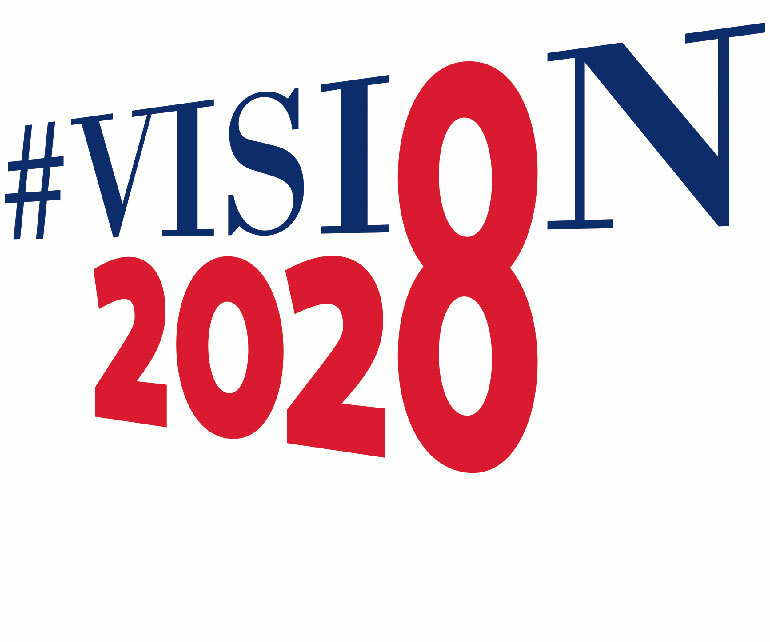 Discover more about the ongoing visioning process by visiting us online at www.csupueblo.edu/Vision2028.